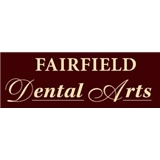 Fairfield Dental Arts (Fairfield) - Book Appointment Online! Welcome to Fairfield Dental Arts, a leading comprehensive dental practice in Fairfield, Connecticut. Our doctors are dedicated to offering adults and children the best preventive, restorative, orthodontic, and cosmetic dental care. We pride ourselves on the quality services we provide, including preventive care for the whole family, orthodontics, crowns, bridges, porcelain veneers and dental implants. We utilize the highest quality materials to ensure your restorations look as natural as your regular teeth. Drs. Paul V. Iaropoli and Michael S. Giuliano, and their professional team are committed to serving patients with care and compassion. They care about you and your dental needs, and will work with you to determine the right course of treatment to achieve comprehensive dental wellness.